Chasing Tail, would like to thank the following sponsors for helping make this show possible. Because of them you can enjoy our videos. Your patronage to these businesses is appreciated. SPYPOINT cameras are developed for easy usage. Using the quick reminder sticker inside the internal enclosure of the camera, the user will be able to operate the camera without referring to the user's manual. The user's manual is available in English, French and German. The removable internal camera is also very practical for easy manipulation. SPYPOINT cameras are equipped with a 5 zone detection sensor. This feature allows a faster trigger time along with a much wider angle of detection. When using SPYPOINT’s IR LEDs for night-time illumination, we use a variable range of LEDs; LED’s angles are 10°, 25°, and 40° which create brighter and wider illumination. Many of our competitors manufacture their cameras with only 10° LED. SPYPOINT cameras are designed to perform under cold weather conditions especially when combined with a rechargeable lithium battery or a 12 volt kit, which are less affected by cold temperatures. SPYPOINT offers an excellent customer service accompanied by a qualified technical support staff. Short repair delay and good technical support is part of our priorities. SPYPOINT cameras have the ability to upgrade their software. Consumers can download the latest software update directly from our website at no charge. This feature allows the consumer to keep his camera up-to-date without any return process. SPYPOINT offer customers a wide range of products. Whether you are looking for a wireless motion detection system or a 12 MP trail camera with sound recording, we have what you need! Grim Reaper Broadheads is the inventor of Razortip Technology - patented mini-tip blade(s) that greatly enhance penetration. Our new practice heads are available now as well as our new crossbow broadheads, designed specifically for 400 fps and faster crossbows. 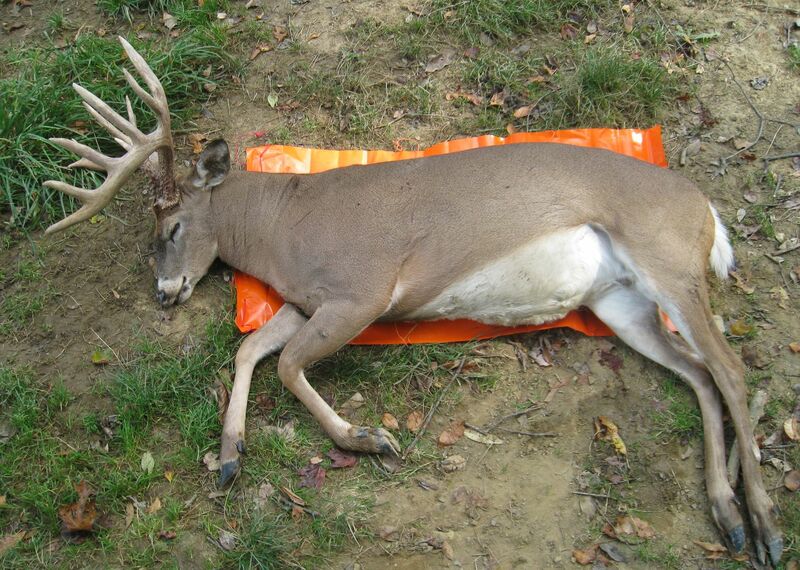 We also have a 2" 3-Blade Whitetail Special that is sure to make your whitetail hunt a great event! The 2010 Grim Reapers are amazing! We are constantly improving and strengthening our already super awesome heads so if you want maximum penetration, huge entrance holes, as well as shorter blood trails and longer stories, Grim Reapers are for you. You're literally going to Watch'em Drop! The Original Razortip Broadhead! Trocrazor tip - Razors in a Trocar Tip - that pulverize heavy bone and slice like a scalpel! No deflection on angled shots! No rubber bands or O-rings! Mechanical or Fixed Blade! Change blades in seconds! Blades stay closed out of the fastest speed bows and crossbows! The Grim Reaper Razortip came on the market in 2000 and rewrote the book on mechanical heads. It solved all the problems mechanicals had. With it you can take steep angled tree-stand shots, steep quartering shots and up hill/down hill shots and not worry about deflection. The three blades float independently on a rugged shock absorbing spring and open without any kick on the arrow. Grim Reaper has never had one complaint in 9 years of selling Grim Reaper mechanicals of a Grim Reaper deflecting. You can shoot Grim Reapers through plywood, steel drums, 2300 pound buffalo, 10 ft Brown bears and just about anything else. The blades only take one pound of pressure to open. The Razortip produces huge entrance holes, and people shooting 38-41 lb bows (generating 37 lbs of kinetic energy) are getting pass throughs on whitetail deer with it. Grim Reaper Razortip comes in 75, 85, 100, and 125 grains. Blades are ground, honed, and stropped 440C stainless steel. Trocrazor blades are .015" thick, and mechanical blades are .035" thick. 75 gr - 1 1/8", 85 gr, 100 gr & 125 gr - 1 3/8" cutting diameter. 100 gr & 125 gr also available in 1 3/4" cutting diameter. 100% made in USA. Super premium machining tolerances! Team CTO is proud to announce Third Hand Archery as one of there archery accessory sponsors. Please check out there website and read there "About Us" below. We have been inventing, designing and manufacturing archery accessories since 1992. All products are proudly produced in the United States. Being a small business ourselves, we like doing business on a personal basis. If you get a chance, please stop by our booth at one of the shows to see our products first hand. We would also very much like to meet you in person as well. Don’t Come In Small Packages? Dragging deer is the most dreaded part of hunting and it could even be dangerous to those in poor health. While there are other tools that could be used to aid in the transportation of the animal (ATVs, reusable deer sleds, wheeled carts, etc. ), they are all much more expensive, heavier, and more complicated, which may cause them to not work well for many hunters. We designed the Game Glide with you, the hunter in mind. We patterned our design around the success and effectiveness of the Hot Hands® style disposable hand warmers. So, we focused our design on your need for effectiveness, simplicity and light weight. 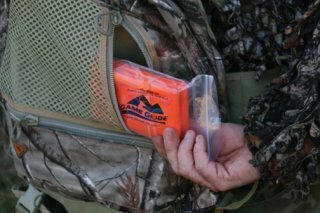 Like the hand warmers, the Game Glide is small enough to always have with you, so that it is always there and ready when you need it! Through the use of innovative design and high-tech materials, the Game Glide meets these goals, while making your drag much easier and your hunting experience more enjoyable. making the drag back to camp up to 46% easier. Ultra Light – weighs only 5 ounces! Quick and Easy to Use – intuitive to use and attaches in seconds with only 3 strings! Innovative – so innovative that it’s patent pending! 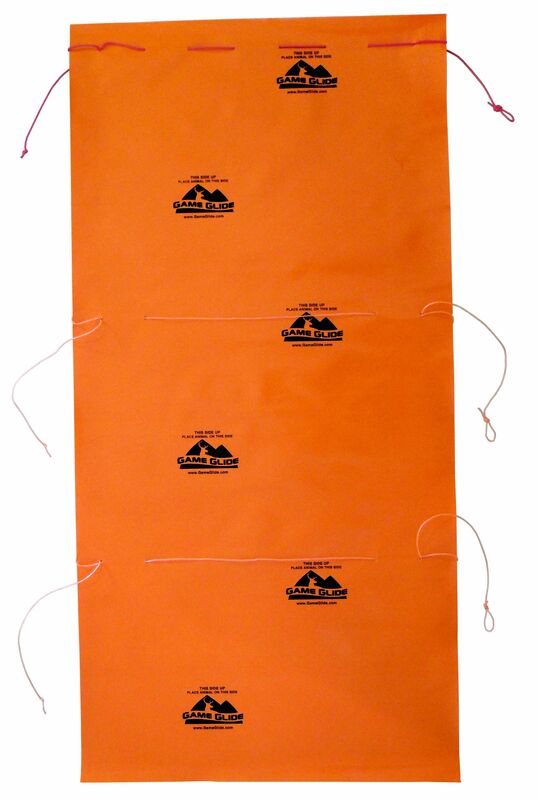 Physician’s Warning: The Game Glide is a device that is designed to lower drag coefficients. It is not intended to entirely prevent muscular or cardiovascular strain, which may result in serious injury or death. The Game Glide is TRUE INNOVATION! With our orders placed, CTO is proud to announce our newest sponsors who just so happens to be right here in Central Indiana, Seemz Technology. SEEMZ Technology has developed perhaps one of the most effective scent control systems on the market today. SEEMZ’s chemists have developed the “T.H.E.E. KRUSH” product line to be an essential tool in harvesting mature animals throughout all months of the season. “T.H.E.E. KRUSH” — Chemistry for the Hunter’s Advantage. SEEMZ’s “T.H.E.E. KRUSH” is a Total Human Element Eliminator and scent control product line that does not trap and mask odors, instead “T.H.E.E. KRUSH” captures and eliminates those odors that can get you busted time and time again. “T.H.E.E. KRUSH” has been tested and proven to trap and eliminate odors on a wide spectrum of atmospheric contaminants. T.H.E.E. KRUSH product line from SEEMZ Technology consists of two odor eliminators, Original and EARTH ELEMENT with an earth tone to provide a cover scent for the hunter, as well T.H.E.E. KRUSH product line includes the H2O2 Laundry Detergent, Hair & Body Wash and T.H.E.E. KRUSH original and Earth Element refill systems. New for 2009, SEEMZ Technology introduces Noze the Windz, a superior wind checking device. Trail Hawk Game Cameras will be our game camera sponsor this year. Trail Hawk currently offers 1 model with a new model camera coming soon. Trail Hawk Game Camera, in my opinion uses the best motion sensor out in the market. Setup is easy with just two buttons and a large LCD screen, which is easy to read. Six time delay settings from 5 second to 10 minutes and an activity mode for trail usage. Capture all of the deer coming down the trail. When designing the Trail Hawk they put a lot of thought into the design to give it a nice clean look. They enclosed the circuit board for added protection and added an enclosed 9-volt battery box, easy to access. Included top quality components such as the coded AR glass, which reduces reflection. Magnus Broadheads will be our spring Turkey Broadhead sponsor. Magnus, makes the Magnus Bullhead Broadhead with no cut-impeding straws on the blades... The head is all business all the time with great flight characteristics and strong .048 stainless steel means accuracy and durability all season long. Can be resharpened or replaced when you're ready... in fact there's one set of free replacement blades in every pack. I am hopeful that Magnus will become our Big Game broadhead supplier also, check out their other line of products at http://www.magnusbroadheads.com/home.html Those of you with the big hub style blinds, check out the Rack Pack. That thing is awesome! Big Daddy Scents located in Oblong, Illinois is in its first year on the market. We are very excited about this accomplishment and hope that our customers are too! We will be offering High Quality Deer Scents, Scent Eliminators and Scent Covers. Our product line affords hunters the ability to focus on their time in the woods while using effective and reliable scent products to bring in the White Tail of a Lifetime!